AINTRODUCTION (Alpaca Farm Tour): The alpaca is one of the four species of South American camelids, related to the llama, guanaco and vicuña. It lives in the Andes of South America mainly in Peru, where alpacas are bred at altitudes ranging from 3000 to over 4500 meters above sea level, where they can naturally with stand temperatures that may fluctuate between -20°C (-4ºF) and +30°C (86ºF) in a single day, surviving on a special low-protein diet based on natural grasses that grows in the Peruvian higlands. It has several productive skills but the main, economic feature of this specie is the production of quality fiber. Most of alpacas are indigenous to the Peruvian highlands, where thousands of rural families raise flocks of alpacas, as has been done for thousands of years, since pre-incan times, shearing the animals and selling their fiber every year, to provide those families with their principal income. 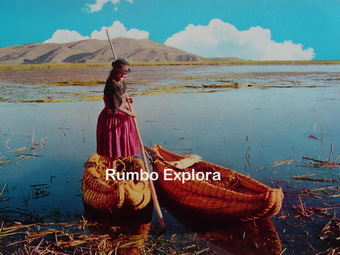 There are an estimated 3.5 millions alpacas in Peru, from which approximately 66% are to be found in the department of Puno. In the world there are (4.67 millions of alpacas). Alpacas are raised together with llamas, sheep and other animals, where most of alpacas have 1,20m to 1,50m in height, and weighs between 45kg and 80kg. It has a smaller and more curved profile than the llama and has a distinguishing fringe of hair on its forehead. Other countries which reed alpacas are also Bolivia and Chile in South America but in minor quantity. There are alpacas also in countries as New Zealand, Australia, the United States and Canada but only in small farm houses but as a pet. During spanish time, sheep, cows and horses were introduced in Peru, and the alpacas were referred to as ‘long-necked sheep’, were relegated to the higher altitudes in mountainous terrain where the pasture is poor and access difficult. 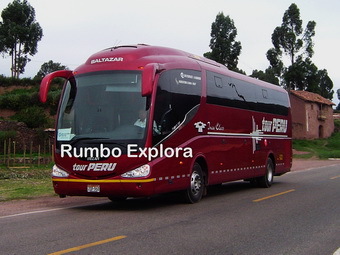 WHAT IS INCLUDED: The private tour INCLUDE entrance fees to archaeological site of Sillustani US$5.0, private tourist transportation, private guide for 01Day, walking with llamas US$20, boat ride on Umayo lake US$15, lunch at farm house US$10. Besides pre-trip information + organization and all local taxes. There are no hidden extras in our prices. In the price now includes all money transfer fees. Our tourist transportation vehicles have nation wide circulation permit and 2 types of insurance (Certificate of Statutory Accident Insurance Transit SOAT, besides has vehicle Insurance Policy to all risks in record) + oxygen & first aid kit + panoramic windows + reclining & confortable seats, exclusive for our demanding customers. 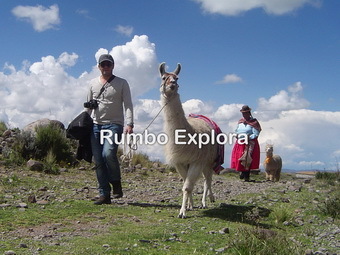 Share the post "Alpaca Breeding Ranch – Puno Peru"